Carl Kendrick - Back in the Mix?? Maybe! 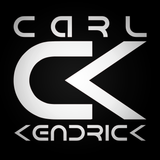 Carl Kendrick - Keeping The Rave Alive! 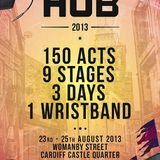 HUB Festival 2013 - EPIC! Carl Kendrick began DJing, when he followed in his Brothers footsteps and purchased his first set of DJ Equipment when he was 16. His first DJ sets were House/Block Parties within the RAF Camps where he was based. At first he stuck within the Harder styles of dance, before varying his style to also feature House, Electro, Techno and Disco. Through this variety, he managed to secure his first Residency at a small club in Forres, Scotland. Over the last Sixteen years, Carl has been fortunate enough to secure Residencies in Scotland, The Midlands, Oxfordshire and South Wales, As well as play sets in USA, Canada, Kenya, Cyprus, Malta and Germany. He entered and won a DJ Competition in Wolverhampton in 2002 and had a top 5 MixDJ.net "most played" mix in 2008. Even though he may have started as a Hard House DJ, Carl is now known for Funky and Vocal House/Disco Beats. Playing tracks that makes the Dancefloor feel alive.